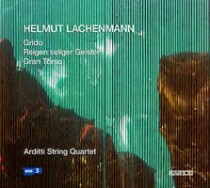 A direct comparison of the existing recordings of Lachenmann’s three quartets seems pointless. Some readers will notice I haven’t lived up to my promises. The excuses aren’t worth mentioning, except that you should visit our newly reorganized archives, and be prepared to spend at least 12 hours a day there.